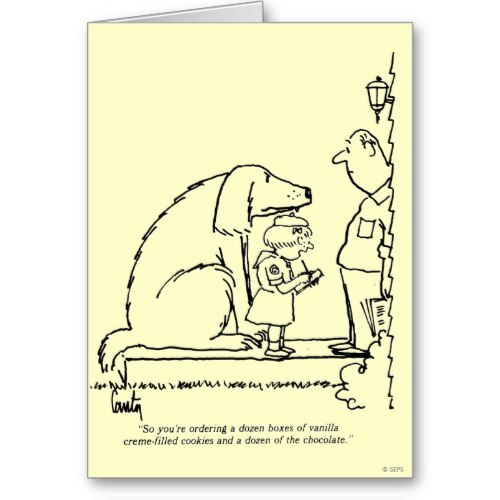 A fun, custom greeting card featuring a funny, hilarious cartoon depicting a young, precocious, sassy girl scout taking down a decent size order for cookies, at the doorstep of a generous, large-hearted, charitable gentleman, while her menacing ..naah innocent, giant of a pet dog stands guard behind her. 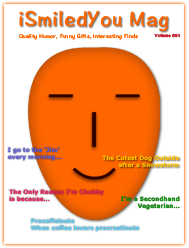 A completely customizable, fun, greeting card. You may add your message, greetings, photos, and text to inside of the card while ordering.